to keep alive and extend Tristano’s legacy than pianist Connie Crothers, his friend and student. 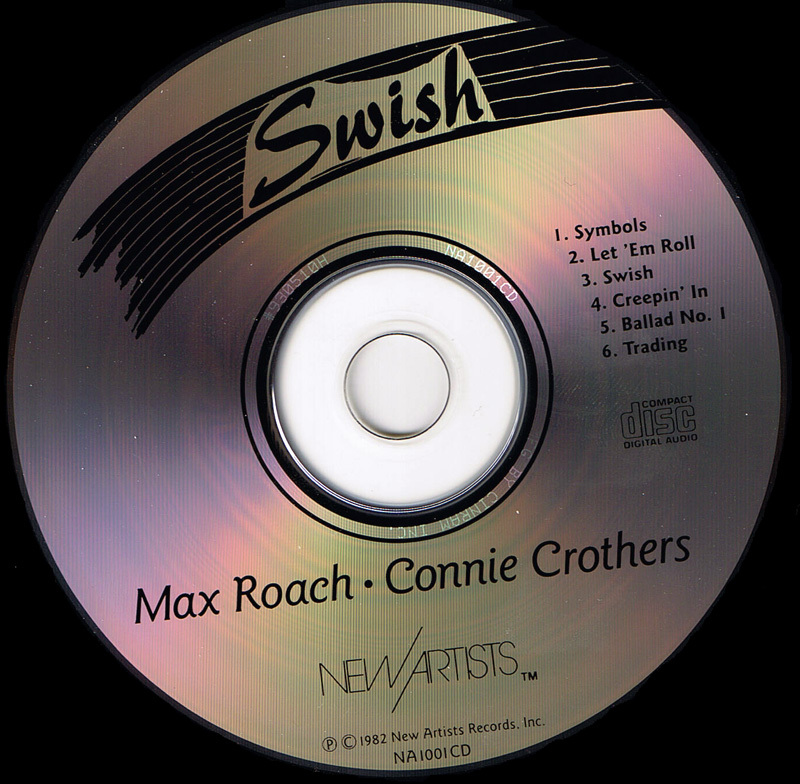 On “Swish” she pairs up with Roach,…The music on “Swish” though is a far remove from bop. Moving into territoryhinted at by Tristano 35 years before, Roach and Crothers engage in abstract, improvised dialogues as much about texture and gesture as specific harmonic and rhythmic schemes. Roach, of course, in an acknowledged master at this kindof interplay. But Roach, as the star, doesn’t dominate, nor does Crothers assume the lead role you’d expect of a pianist. 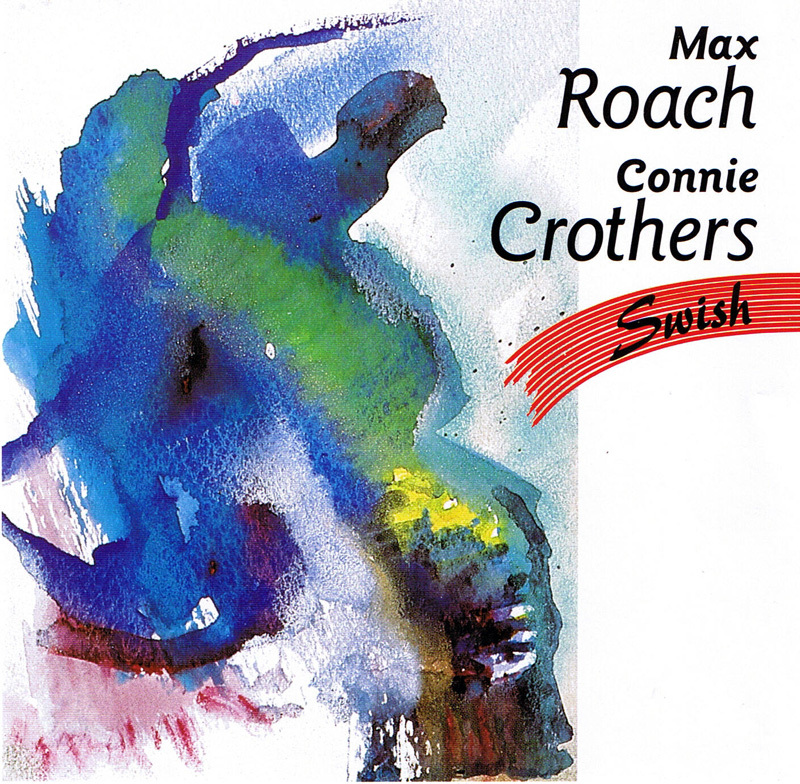 Rather, they carry on a lively conversation with Crothers’ sweeping lines and rumbling bass patterns often subtly echoing Roach’s figures. 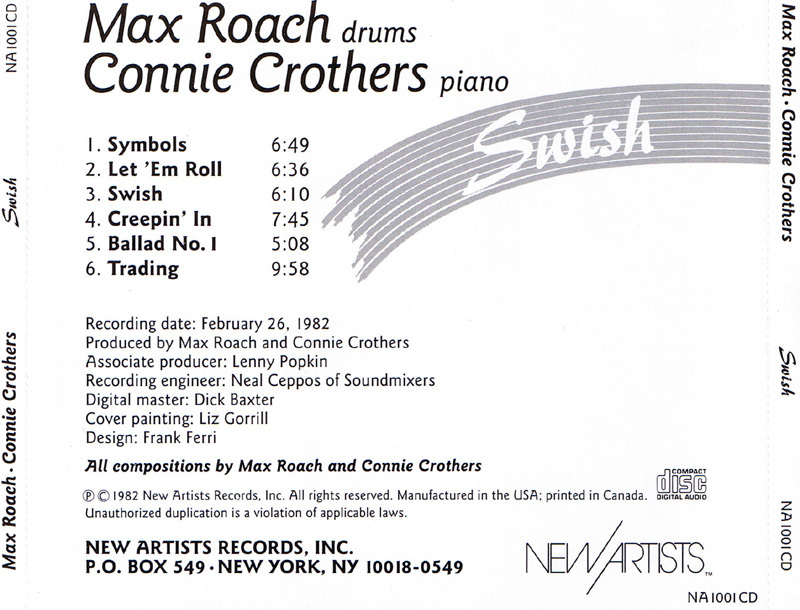 The titles describe the pieces: “Symbols” features Roach’s cymbal play; “Let ‘Em Roll” his tom-tom tattoos; “Tradin'” has Crothers and Roach playing alternating cadenzas. Only the title “Creepin’ In” doesn’t fit the music; this piece doesn’t creep but dashes along at a quick clip. Demanding music, but worth the effort.–David Dupont, Cadence — October 1993.